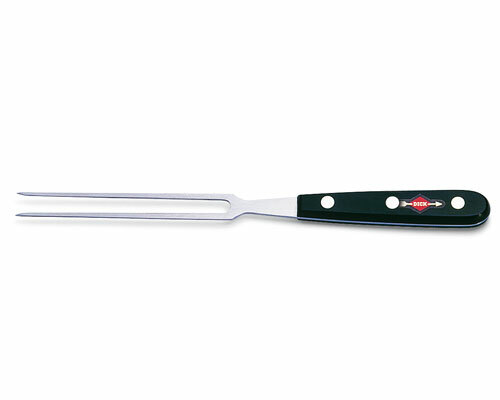 One piece full steel with triple riveted handle that is balanced and durable. 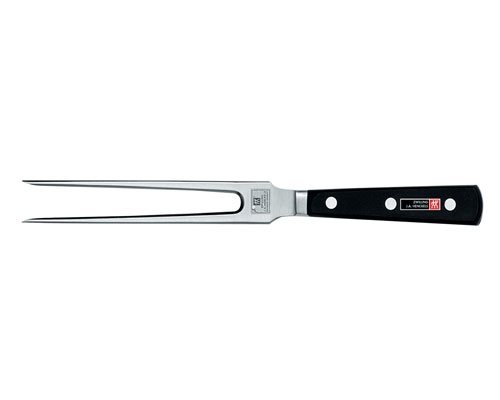 Henckels offers a lifetime warranty. 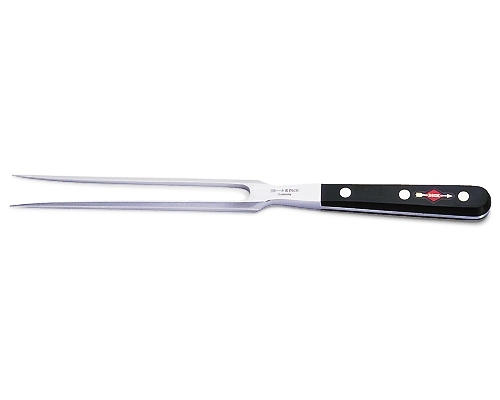 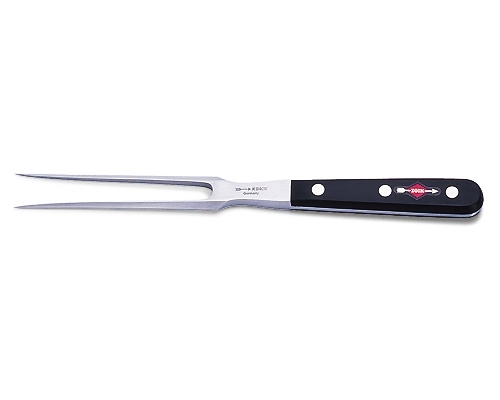 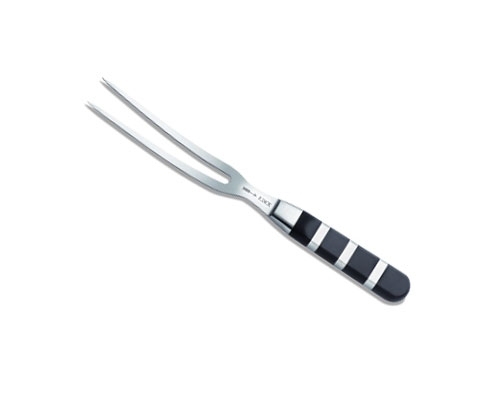 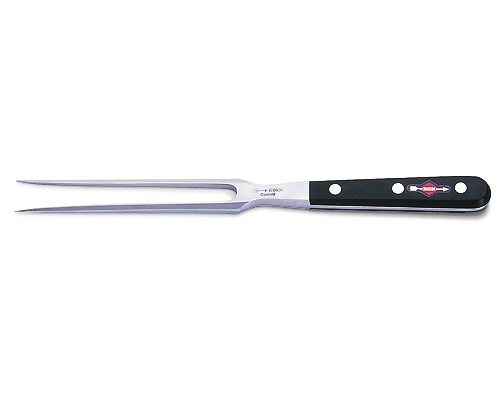 This fork is flat and good for flipping meat and holding meat while cutting.